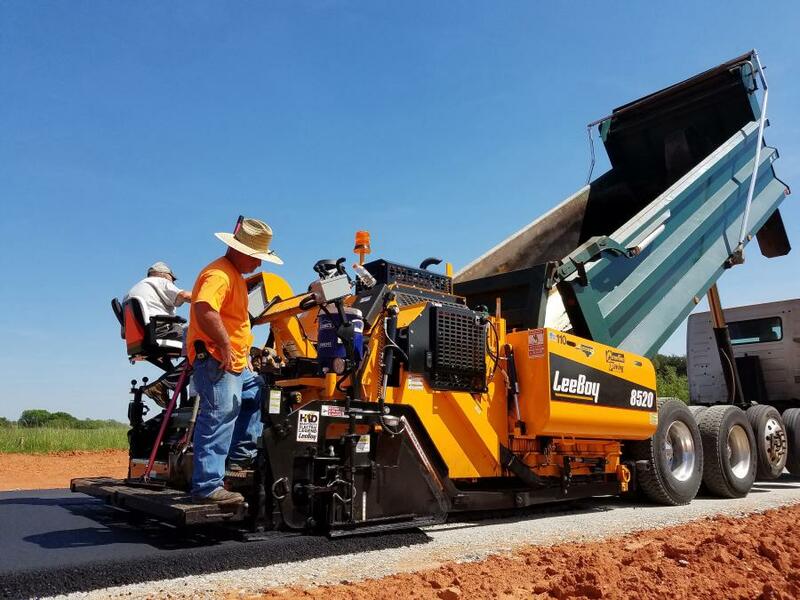 The LeeBoy 8520 paver runs on a 106-hp Tier IV Final Kubota turbocharged diesel engine and has a 9-ton capacity hopper. 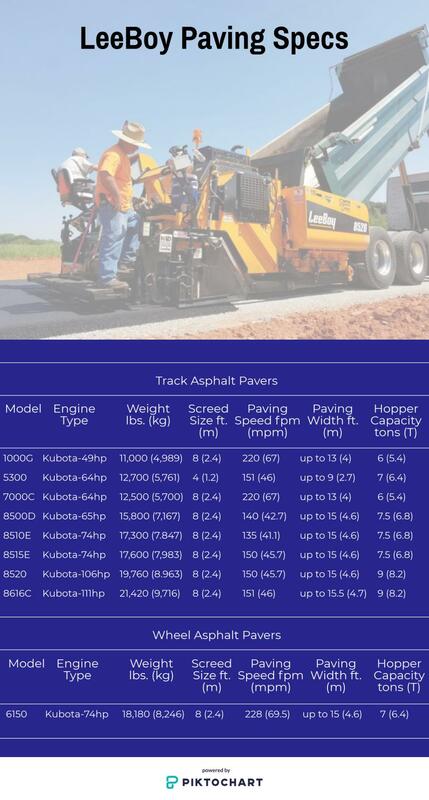 This paver features an ultra-efficient material management system for consistent flow from the truck to the screed. The dual 36-in. conveyors are wide and slow-moving to prevent segregation and reduce wear on components. Each conveyor, as well as the unit's under auger cutoffs, are independent. Weighing 3,260 lbs., the free-floating screed is electrically heated and has two hydraulic extensions. Paving width can be adjusted up to 15 ft. Two 12-in. hydraulic augers can be operated manually or automatically. LeeBoy offers high-deck or low-deck configurations for the operator station, which also features Plus One dual electronic steering controls. The control panel can be shifted to the left or right side, according to the operator's choice. Additional standard equipment includes a backup alarm, rotating safety beacon, LED work lights, vandalism protection covers and a gauge package that consists of oil pressure, hour meter, fuel gauge, volt meter, water temperature, tachometer, hydraulic-oil temperature, hydraulic level warning and engine diagnostics. Remote screed control is available as an option, as is screed extension vibration and automatic screed heat temperature control. Proven heavy-duty legend screed, weight 3,260 lbs. For more information, visit leeboy.com.